On Wednesday, December 7th over 600 members of the King County community gathered at Town Hall Seattle for the 20th Annual King County Behavioral Health Legislative Forum. This annual event is designed to give community members and agencies like Recovery Café the opportunity to speak to their elected officials about the importance of supporting treatment and recovery services. 34 legislative offices were represented by legislators or their staff. 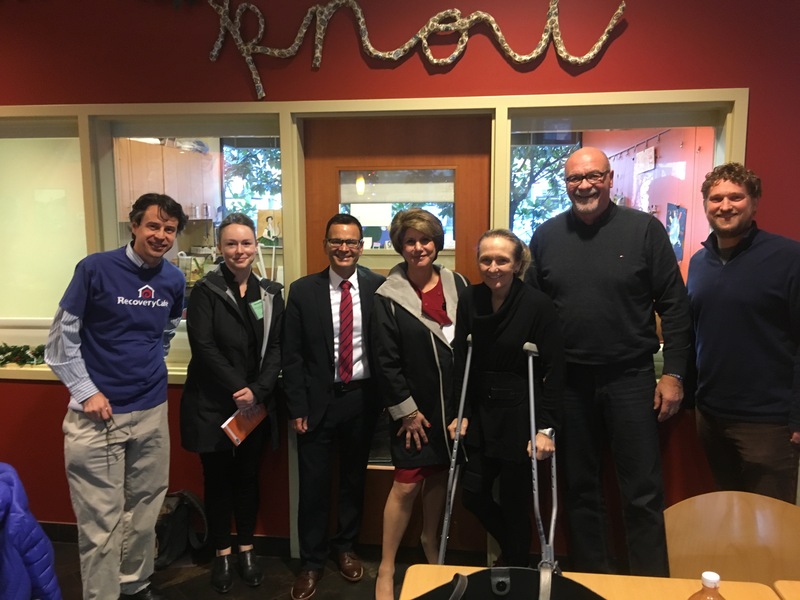 Before the event, Recovery Café was fortunate to have the keynote speaker, Linda Rosenberg, the CEO of the National Council for Behavioral Health, and Jim Vollendroff, Director of King County’s Behavioral Health and Recovery Division, visit the Café for a tour and conversation. It was a great opportunity to speak with these recovery leaders about our model and our expansion and replication efforts. Both Linda and Jim spoke at the Forum: Linda spoke on national trends and strategies to address treatment accessibility (and threw in a shout-out to the Café), and Jim spoke about the behavioral health legislative priorities for King County and Washington State including expanding treatment options for opiate use disorder and creating community-based capacity to prevent and/or shorten hospital visits. But for the roughly 30 Members, volunteers, and staff representing Recovery Café at the forum, the highlight of the night was seeing Recovery Café’s very own Member Mike Perry speak about his recovery journey to the audience. We’ve talked about Mike’s journey before and all he contributes to the Café, but this was an astounding moment, seeing him on stage speaking directly to our elected officials and hundreds of spectators. Mike spoke openly, passionately, and humorously about the journey he’s been on; the crushing lows, the triumphant highs. 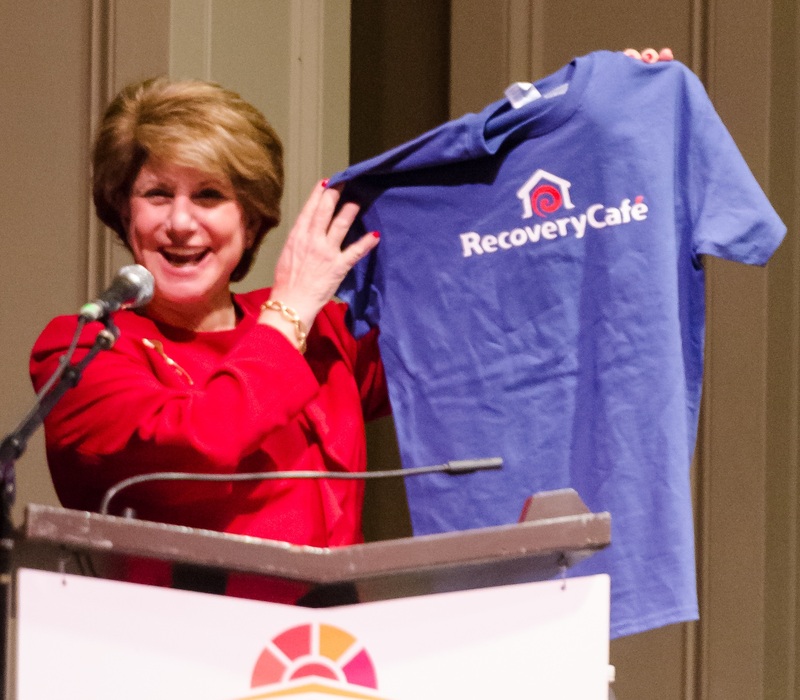 One of the biggest connections Recovery Café tries to make is between those suffering from addiction and homelessness, and those who have not. 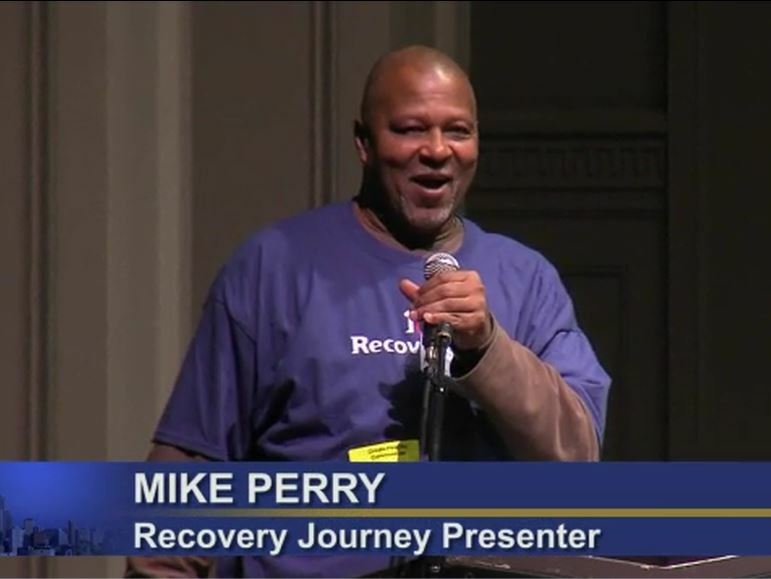 Mike has gone through it all; from decades of substance abuse, multiple stints in treatment facilities, relapse, becoming homeless, physical ailments, to receiving housing and becoming an integral soul at Recovery Café, and it was important that our local leaders realize that this is the journey of many. There is no straight path to recovery. 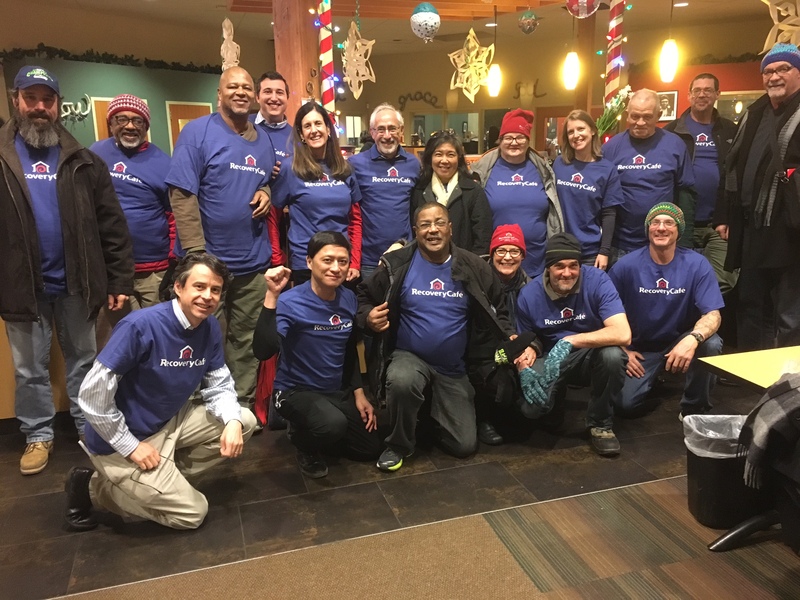 Mike’s story, as well as the rest of the evening, showed the importance of investing in those struggling on the margins, that it will take all of us, at every level, to solve the addiction and homelessness crises. There is a lot of work to be done but with collaboration between state, county, and city officials alongside service providers and community members we can get one step closer to living in a just society. If you were unable to attend you can stream the video through the Seattle Channel here.